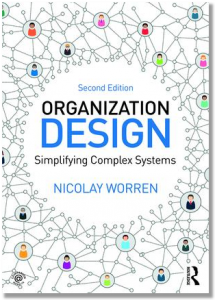 You need to understand how the current organization works – before you can design a new one. As professor Ron Sanchez of the Copenhagen Business School puts it: “You can’t improve something that you can’t describe” . So we need to describe the current organization first. To do that, we need to collect some data. But what kind of data we you need, exactly, to describe the current organization? I have observed that there is a lot of variation here. Very different types of data seem to be collected and analyzed in different organizations. Now I don’t think there’s a standard set of data that is relevant in every case. But let me suggest three key principles, which may be used as a guide. It seems like different people prefer different types of data. Maybe this is due to personality differences. When trying to understand an organization and how it can improve its performance, some prefer to listen to the stories people to tell, while others would rather look at a chart with statistics showing the number of production defects. But neither is very useful alone. “Objective” data are obviously necessary. You can’t re-design an organization if you don’t know how many employees there are, to mention just one example. But “subjective” data that we gather in interviews are also essential for understanding how people in the organization view their role, how they interpret the mandate of their unit, and what they think may be the underlying causes of problems. It is basically very hard to interpret objective data without it. 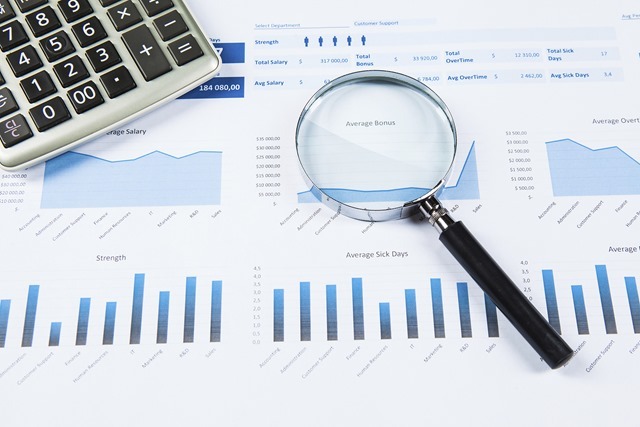 In one engineering firm, a project team was set up to support the EVP of a business area in performing a strategic review, which also included a possible reorganization. The members of the team spent most of their time collecting cost data from the business units within the business area. The final deliverable was a thick binder with charts showing the cost of every conceivable activity and item. The cost structure may be a constraint that you may need to take into account (not all organizational models may be feasible from a cost perspective). It can be also an effect of a new organizational model (e.g., a model with more management layers may lead to higher costs). So it’s not irrelevant. But we can’t redesign the organization (or at least shouldn’t) based on these data alone. It may sound obvious, but we need data about organization design variables to inform a decision about an organizational re-design. So what would that be? Well, we may start by describing the current formal structure (e.g., the main units, locations, reporting structure, and so on). Then one can add data about the “horizontal” dimension (the work processes and interdependencies across different units). It’s also useful to have time utilization data (to know what types of activities people spend most of their time on). But more importantly, we should know whether the organization is able to fulfil its mandate and reach the key goals that have been set (and, if not, what the key obstacles may be). The organization is there for a purpose – and we need to know what it is. Principle #3: Data should help us reduce uncertainty. Of course, there are lots of things that are “nice to know”. But one cannot go on collecting data forever. So, after we have gained a basic understanding of the current organization, we need to determine what to focus on. We should focus our data-gathering effort in that direction. As an example, we may be considering combining two units that have so far been working separately. But we may also be concerned that the two units may not be fully compatible with each other. To reduce the uncertainty, we may collect data about the activities carried out in the units, their respective role, and so on. We may also ask whether there are examples of such a combination somewhere else in the organization, or in another comparable organization. By the way, the process of documenting the current organization is useful in itself. It provides a chance to involve people and build a common understanding of how things work – and create a consensus about the things that need to be improved. In many cases, it also generates a lot of ideas for possible solutions. In one project, we interviewed 45 managers and asked them to identify improvement areas. We also asked them about possible solutions. They provided more than 200 ideas. In my next post, I am going to go into one particular way of analyzing and visualizing organizations – using social network data. How do you know whether your organization needs a re-design?